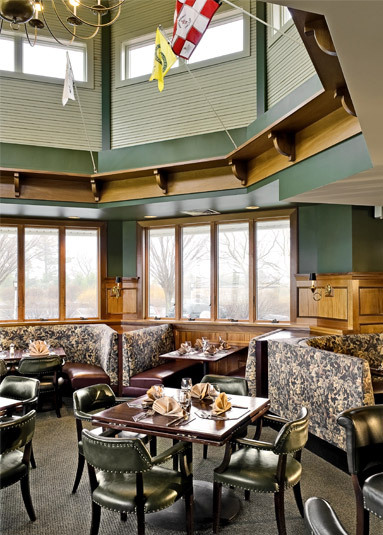 TMS Architects was retained by the Wentworth Country Club to assist in the renovation and expansion of their existing clubhouse’s dining and grille room. 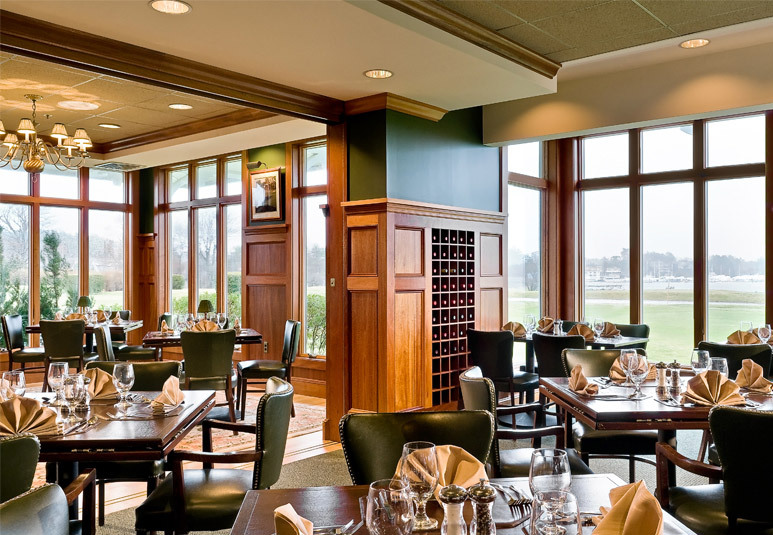 The goal of the project was to transform the existing underutilized dining area into an amenity which would provide the Club’s membership with a more informal and intimate dining experience and encourage greater member use. The existing dining area was reworked and expanded to provide a variety of seating options and configurations. Flexibility was the key to be able to accommodate a variety of Club activities throughout the year. Mahogany wainscoting and millwork along with two new gas fireplaces were added to create a cozy ambience to the room. 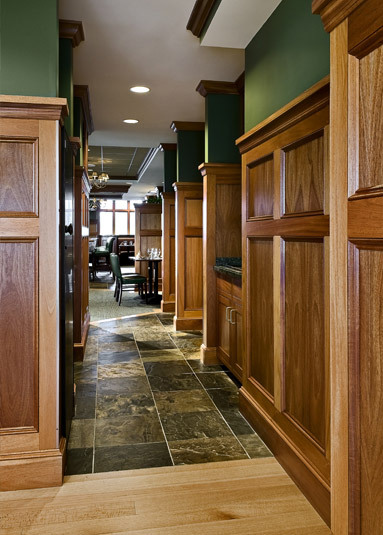 French doors designed to slide away into pockets within the walls allow select dining areas to be segregated for smaller group functions. Bay windows create niches within the space to host small dining parties comfortably. Leather and decorative floral patterned fabrics adorn the chair and banquette seating conveying an overall sense of casual elegance and warmth to the space. 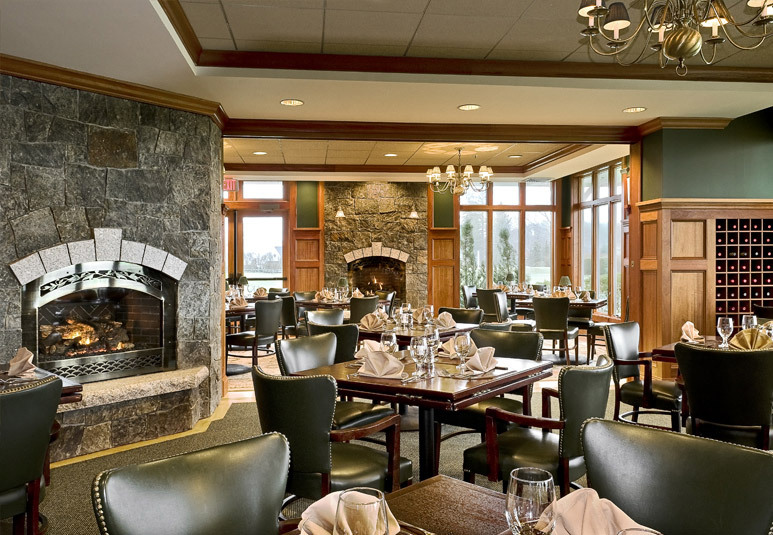 According to the Club’s General Manager, Bob Diodati, there has been a significant increase in revenues due to the increase in usage by the Club’s membership since the dining and grille room was renovated.